Charles Holcombe begins by asking the question 'what is East Asia?' In the modern age, many of the features that made the region - now defined as including China, Japan, Korea and Vietnam - distinct have been submerged by the effects of revolution, politics or globalization. Yet, as an ancient civilization, the region had both an historical and cultural coherence. 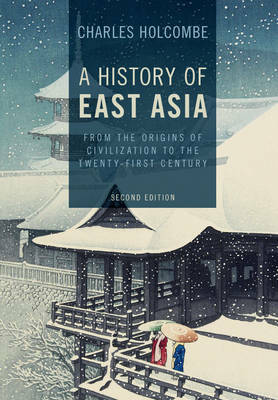 This shared past is at the heart of this ambitious book, which traces the story of East Asia from the dawn of history to the twenty-first century. The second edition has been imaginatively revised and expanded to place emphasis on cross-cultural interactions and connections, both within East Asia and beyond, with new material on Vietnam and modern pop culture. The second edition also features a Chinese character list, additional maps and new illustrations.